On October 3, 2018 at approximately 8:30pm, Radford City Police responded to the 300 Block of Bolling Street in reference to a shots fired call. Upon arrival and investigation, Officers learned that a suspect had discharged a firearm at an aerosol can in close proximity of another individual. After identifying the suspect, arrest and search warrants were executed in the 1200 Block of 3rd Street in Radford with the assistance of the Radford City Police Emergency Response Team. 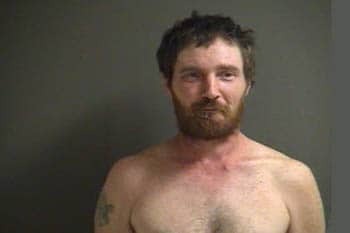 Karl Fell, age 32, of Radford, VA was arrested without further incident. Mr. Fell was charged with one count of Recklessly Handling a Firearm (VA code 18.2- 56.1) and was remanded to the New River Valley Regional Jail on a $1000.00 secured bond. No further information will be released at this time.